Speaking fluidly, without hesitation, comes with a lot of practice. Olly: Good morning everybody. Welcome back to the I Will Teach You A Language Podcast. How are you doing today? I hope you are having a great day. I am loving this weather in the UK at the moment, well at least in London. It’s warm its sunny its 100% full on awesome spring and it is just fantastic. We've got a question from Brazil today. But before we get to that I would like to thank the sponsors of the show, the company that makes it possible for me to keep speaking the language I have learnt. 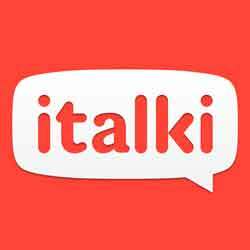 It is of course Italki and you can get a free lesson with a native speaker teacher by going to iwillteachyoualanguage.com/freelesson. Now without any further ado let’s get in to today's question from Rafael. Rafael: Hi Olly. I am Rafael from Brazil and I have a question about how to speak without hesitation in a foreign language. I have been learning English for one or two years and I can’t understand what they say. But when I try to speak in English my mind get blank when I try to speak in a foreign language. So how can I avoid this in a foreign language and great podcast man, keep it going. Olly: Hi Rafael thank you very much for a cool question. I hope you are doing well in Brazil. I haven’t been to Brazil for a long time, I would love to go back. Hesitation, now everybody hesitates it is completely normal and it happens for two reasons. The first possibility is that you don't have the vocabulary you need to say what you want to say. The second possibility is that you don't know how to express something using either the grammar of the language you are learning or else knowing just the native like idiomatic way of expressing something. So, it’s either not having words or its not knowing how to express something, the was to put the words together in what order. Now it can be for other reasons, that you could be nervous or you might be unsure about your own thoughts for example. But linguistically speaking it’s because of those two things. Now it happens to everybody, it is completely normal and the basic answer is that it just kind of– You hesitate less over time because the more words you learn the more familiar you are with how to express things in English. The way we start sentences the way we convey ideas. The way that we react to people and agree and disagree and so on. The more familiar you are with these things the less you hesitate because you just know how to say something instinctively and you don't have to stop and think about it. Hesitation is just buying time. You are stopping to think about something. But like anything it gets quicker the more you do it. So, the number one piece of advice for you Rafael is to speak more with native speakers. Practice English more. If you are studying hard at home but you are only speaking English once a week or a few times a month, it is simply not enough. Because one this is actually learning and studying practicing grammar learning vocabulary, another thing is actually going face to face with someone having to put that in to practice and recall all of those words when you need them all without panicking. So, there is a big distinction in language learning between the study and the actual practice of speaking. Now the good thing about just diving in and speaking more with people is that you learn stuff at the same time. So, by spending a lot of time speaking not only do you just get more confident and better at speaking in general but through trying to speak you learn the words that you need. When you have, trouble saying something the other person might tell you a word that you need. You might listen to them speaking to you, so you might learn things from them. But generally, one of the big sort of general principles of language acquisition is this idea about an information gap and the need to speak. When you speak to someone you need to communicate with them, you feel that need. You have that need because you need to talk to them. And it is the fact that you need to communicate that forces you to kind of push yourself and speak better than you might otherwise be able to. So, speaking with people especially at your level Rafael because you already speak good English, it is just a matter of becoming more confident more fluid. So just by speaking regularly you are going to very quickly improve and start to hesitate less. But at the same time that is not enough by itself, you need to increase your vocabulary quickly. When you left your question for example there were a couple of points where you were hesitating and the only reason that you are hesitating is because you are not quite sure what the correct word or expression is. So, you have got to systematically increase your vocabulary. Which means as you have your speaking sessions or your lessons or as you're studying with your textbook you need to make notes of the vocabulary that you come across and then sit down and commit them to memory. You have to spend time actually learning vocabulary. The other thing I would suggest is that you focus on full sentences. So, don't just write down and try and learn single words. I think one of the things you were trying to say in your question was to draw a blank. To draw blank in English is when you try to think of a word but it just disappears from your mind. You can't think about it, it is drawing a blank. But instead of writing down in your notebook draw a blank try writing down the full sentence. So, I always draw a blank when I speak to someone in English. And then memorise that sentence. Because what you are doing then is you are always practicing speaking in full sentences. Which means that is going to help you get over the habit of hesitating. Because you are just used to speaking in longer sentences. The thing that you practice you will get better at. If you practice single words, then you will always be thinking in single words. If you look at my flash cards, for example I'm a big fan of flash cards, you will see tons of full sentences because I like to display the English side of the flash card and then try to remember how to say that entire thing in the language. It forces me to put together a full sentence and speak more fluently and that reduces hesitation. Also, make sure that you are spending more time with the whole language. Now the whole language means not just doing grammar and vocabulary exercises in your text book but actually spending time reading and listening to real English. There are loads of places you can do that. I have a book of English short stories for intermediate learners which might be really great for you at your level. Rafael you can get the audio book for that as well. And with that you can simply sit down every night and read in English. Listen along to the audio book and you are getting exposure to the way that English really works, real language. You have got a story there and a plot so that you are motivated to keep listening and keep reading so you can find out what is going on. It’s the whole language. And this is one of the things that when you get to the intermediate level you really have to start doing more of. When you are a beginner you have to do exercises and tests and things like that. But when you are at an intermediate level the only way you can become more fluent is by spending time with the whole language reading and listening to real English. The other thing you can do to help with hesitation and to improve your fluency is start to learn and memorise longer pieces of language. So, try learning a monologue or a speech. For example, the question that you left its fantastic that you have the courage to leave the question for me on the podcast, that is brilliant. The next time you do that one way to potentially practice that would be to write out your question have someone check it so that you know that the English is correct and then rehearse it and practice it lots of times. Not because I need you to deliver a fantastic question on the podcast but because when you learn something and you practice it you get the– as we have said before in the podcast, these glimpses of mastery. You get to feel what it is like to speak in fluent perfect English because you have memorised rehearsed and practiced it. I sometimes do this with much longer things. I might for example learn a long self-introduction or I might talk about a particular story in another language and I will write it down, I will memorise it. And that really then helps me to just have this experience on speaking more fluently and hesitating less. Also, try shadowing. Now this is not something that I like very much, I find it really boring. But some people love it. Shadowing is where you play an audio recording and then you read aloud from the transcription at the same time. So, you could even do that with this podcast, you could play the podcast look at the transcript and try and read along at the same time at the same speed as me. It might be a bit hard but with my short stories book for example that would be ideal because it is much more controlled. Shadowing is a way to keep you speaking. It gets you speaking a real speed without hesitating. It is a slightly different skill but some people really enjoy that. So, those are lots of ideas for you there Rafael to try. You are doing a really good job. I think for you now it is just about speaking as much as possible multiple times a week. Growing your vocabulary so you have the words that you need and then also spending more time with the whole language so that you just get more used to the way English works. I hope that was helpful. If you would like to ask me a question please do, you can go to iwillteachyoualanguage.com/ask and at the end of every episode I like to leave you with a resource of some kind on the topic of the show and one of the things I mentioned in today’s episode was my book of English short stories. If you are learning English and you are intermediate or upper intermediate level and you enjoy reading, then you might really like this short story book. It has got eight stories which are really really engaging and interesting. Everybody who reads them writes to me and says that they really enjoyed reading them and they really wanted to know what happens at the end. 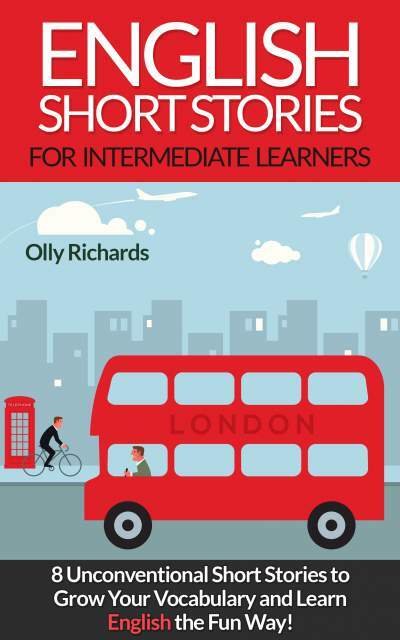 So, if you would like to get that you can go to Amazon and search for English Short Stories for Intermediate Learners by Olly Richards. I will also put a link to that in the show notes so you can find a link there. And you can also have a list of all of the tips I've given to Rafael here along with the full transcript. So, you can even try shadowing if you to. You can find the show notes and all of that stuff at iwillteachyoualanguage.com/episode178. Thank you very much for listening and I will see you in the next episode of the podcast.